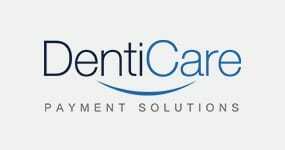 SureSmile Technology Comes to the Hunter Valley Area. 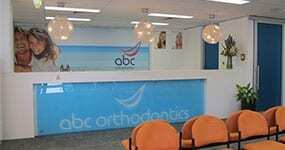 ABC Orthodontics offers SureSmile technology so that patients receive quality results in less time and fewer visits. Using SureSmile, Dr Kosy can precisely design your smile. Rather than manually bending wires to move your teeth into position one at a time, SureSmile uses 3-D technology to robotically create custom wires for your braces to help the braces move your teeth directly into position more quickly and more effectively. How Do the Robotically-Created Wires Make My Orthodontic Treatment More Precise? Using traditional methods, your orthodontist was required to bend archwires by hand. Instead, SureSmile technology uses robotic hands to bend archwires to the unique prescription that Dr Kosy creates using the 3D technology provided by SureSmile. It provides Dr Kosy with enhanced control and precision of your tooth movement. How Does the SureSmile Treatment Planning Software Work? When using the SureSmile Treatment Planning Software, Dr Kosy can evaluate your treatment options, visualize the best end result and then map the path of the movement of your teeth. The plan moves the teeth in a direct path to their target position without the need for multiple adjustments. The SureSmile software also allows Dr Kosy to digitally evaluate the progress of the movement of your teeth throughout treatment. The iTero Scanner is a handheld device that works like a 3-D digital camera. The device takes pictures of your teeth using aunique feature of confocal scanning, which allows the iTero Scanner to capture powder-free digital impressions. The images taken then create a 3-D model of your mouth during the scanning process. Dr Kosy is in complete control of your treatment when using SureSmile technology. In fact, this technology provides your orthodontist with even greater control during your orthodontic treatment. Is SureSmile Treatment Less Painful than Traditional Orthodontic Treatment? When you experience any pain during orthodontic treatment it is due to the changes in pressure that are caused by adjusting your archwires. Patients who undergo SureSmile treatment do not experience as much pain because SureSmile wires are more gentle than stainless steel wires and there are fewer adjustments needed. Will My Teeth be Damaged Because They Are Moving Faster? 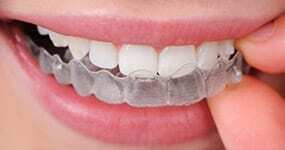 SureSmile archwires do not move your teeth any faster than traditional stainless steel archwires would. The reason that treatment with SureSmile is faster is because the robotically-produced archwires made can offer many bends and the same amount of movement that would take several archwire adjustments using traditional orthodontic methods.